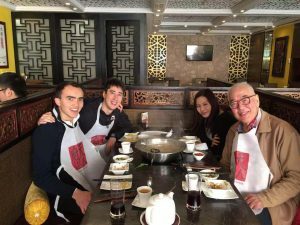 Since coming to Beijing I have discovered much about Chinese food and customs—and because food plays such a large role in Chinese society, it has been impossible not to do so! In China, every province has its own unique foods and tastes. For example, Sichuanese cuisine is spicy, Shanghainese cuisine is sweet, and Cantonese cuisine is fresh. The food from Beijing is quite spicy and quite salty, and I do not think that it suits my palette. Besides,I actually think that the food from the North of China is not as good as the food from the South. Northern food has a stronger flavour, one that I am not used to eating. Because Beijing is such a large city, it has so many restaurants from all the provinces in China. 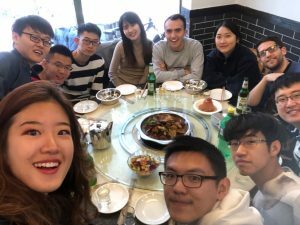 I have been to many and have sampled Cantonese cuisine (my favourite), Xinjiangese cuisine (my second favourite), as well as Sichuanese, Hunanese and so on. 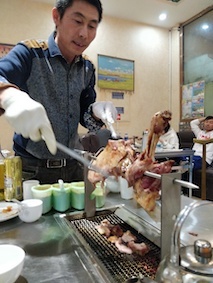 I have tried Beijing’s most famous dish, Peking duck, a few times. 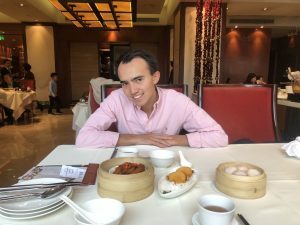 And on my travels I have also eaten different things: in Hong Kong I had char siu rice and dim sum, and in Kunming I had Yunnan’s famous going over the bridge noodles. In China, each occasion also has its own unique customs. 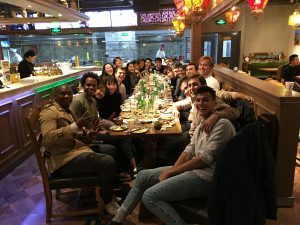 However, no matter what the occasion is, Chinese people get together and eat—at birthdays, weddings, funerals and so on—each one involves a feast! At these occasions the chefs will prepare specialities, and everyone will eat well, sharing food and helping each other. Moreover, at different occasions Chinese people pay particular attention to eat different foods. For example, it is customary to eat dumplings at the Spring Festival (Chinese New Year), and mooncakes at the Mid-Autumn Festival.